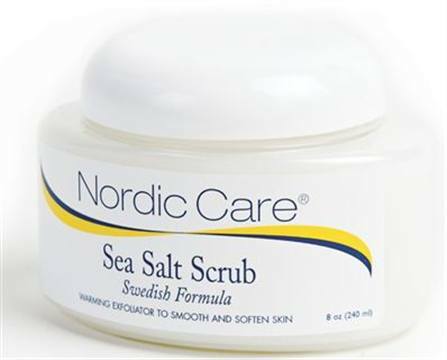 Nordic Care’s Sea Salt Scrub is a warming exfoliator that smoothes and softens skin. Blending unique Scandinavian extracts with natural sea salt, this warming exfoliator gently removes dead skin while curative botanicals restore skin to a more healthy condition. For more information, visit Nordic Care.